Flatware Set - Wouldn't this be amazing to pair with pretty desserts and "on the table" photos? Hanging Bud Vase - A fun way to mix up floral photos. Farmer's Market Basket - Fruits and other produce would look delicioussss in this! Gold Lip Dish - To style with delicate accessories. Khadi Striped Napkin - A simple and minimal photo prop for food photos. P.S. - Last week, I shared some more of my rituals on Archana's lovely blog - My SoCal'd Life.Would love to hear about your rituals too! No 2!! You said that's a vase! boy i'v never see anything more beautiful! Oh, I want all of them too! #3 has been on my kitchen wishlist for such a long time now...I need to just buck up and buy them already! But I also love #4! you're the sweetest, Giulia! I can totally see you also using #2 in such creative ways! and I think number 3 is an easy "must have" in every kitchen, no? I do the same thing for my jewelry shop! I actually love pottery props for displaying my pieces in photos, it's so fun shopping around for fun props :) These are beautiful. I especially love #4. Also, I think you did a marvelous job with the Photoshop! Thanks so much, Kristyn! <3 I'm so photoshop-shy. :) Just looked through your jewelry shop, looove the items and awesome styling with the bowls! Totally agree, it's so fun shopping around for props, would love to see what's on your wishlist too. Number 2 is such a brilliant idea, they would add such a new dimension to photos and they would be just stunning! Number 4 is also a gem - You have such an eye for it! You did a great job with this post Tana! I'm in love with all of these, not sure I could pick just one, but if I had to maybe No. 2 and 4, so beautiful! Love love love!!!!! All of them. The vase is gorgeous, but I want everything for photo props! I love this board, Tana! You did an amazing job! Aww, thanks so much V, that means a lot! <3 So glad you agree on these photo props, I know you'd style all of them amazingly!! 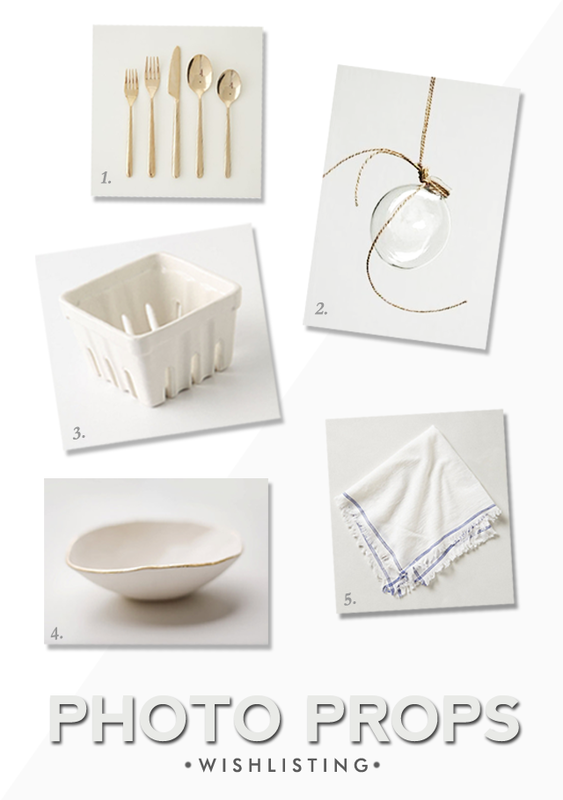 LOVE the flatware and basket!